For my husband's birthday this year all he wanted was to go to Red Lobster for the "all you can eat shrimp." I can't say that would have been my first choice for MY birthday but it wasn't MY birthday so I graciously took my husband to dinner. He proceeded to eat his body weight in shrimp while I ate my body weight in the cheesy biscuits. What can I say? If I were stranded on a deserted island I would most definitely want to survive off of bread. And cookies. And more bread. And cookies. And bread. 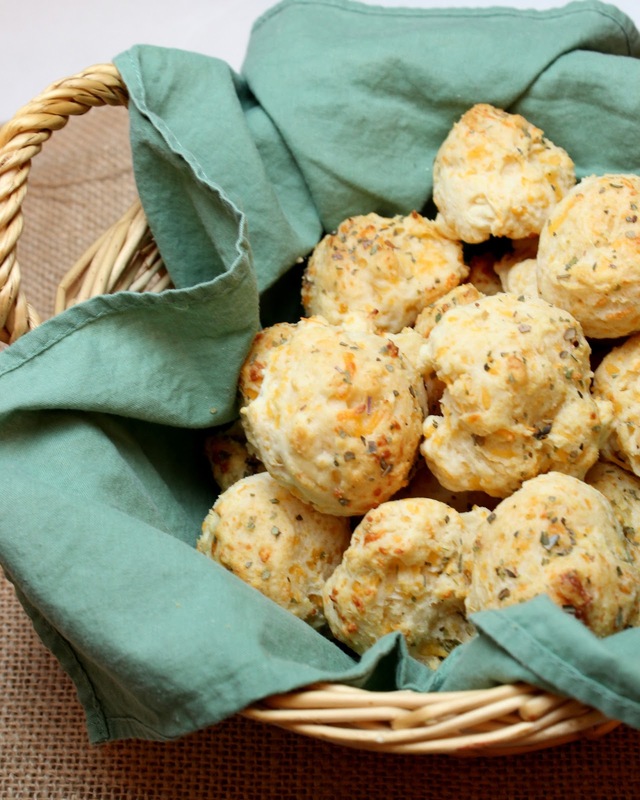 Needless to say I loved those cheesy biscuits and I thought that my Mardi Gras party would be the perfect time to recreate them to go with a bowl of steaming jambalaya. So I made them and they were a hit! 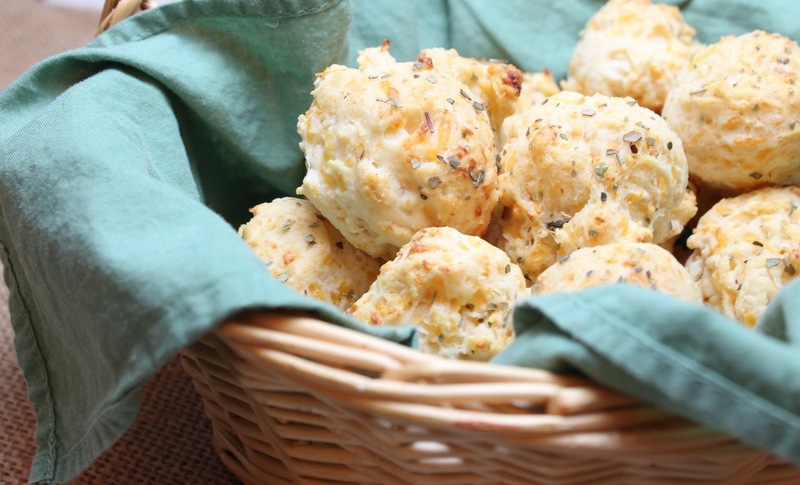 These go great with soup or anytime you would serve something with a roll or biscuit. The garlic butter and herbs on top of these biscuits really make them melt in your mouth. I strongly recommend you eat them hot or still warm. They lose some of their magic once they are room temperature or stored. Preheat oven to 400 degrees. Prepare a baking sheet with cooking spray or a silpat.